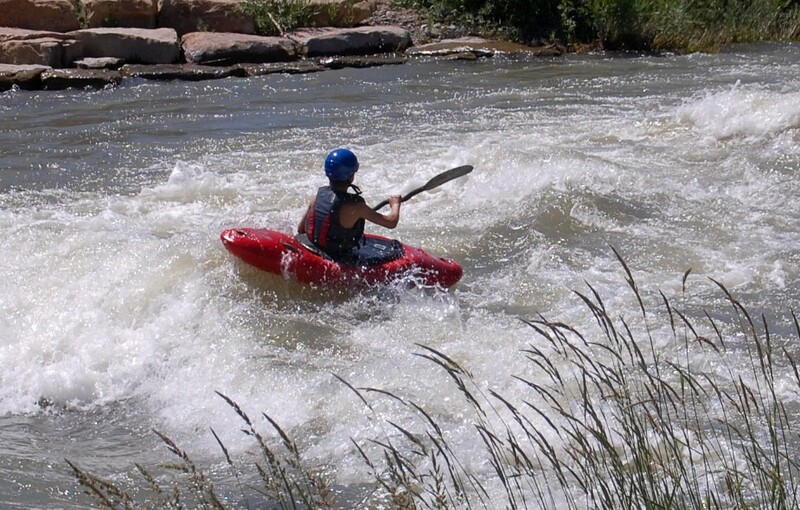 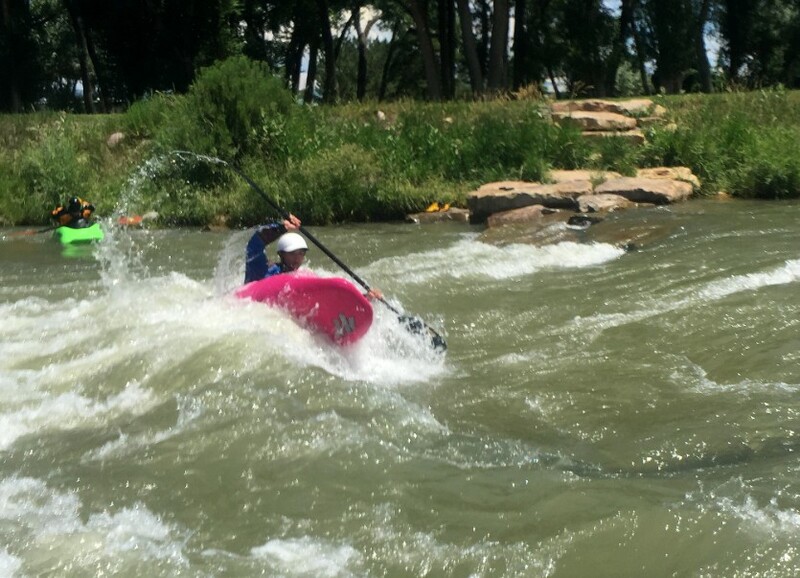 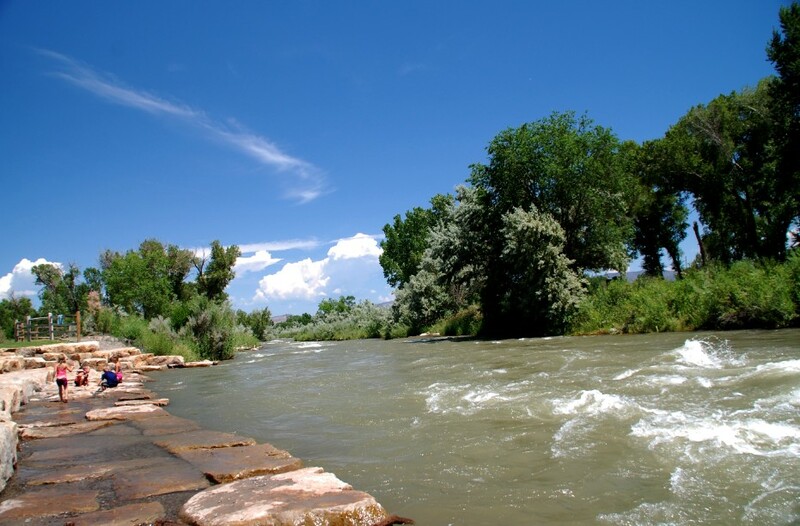 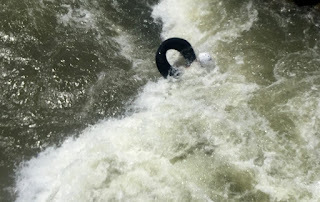 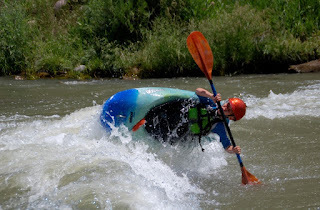 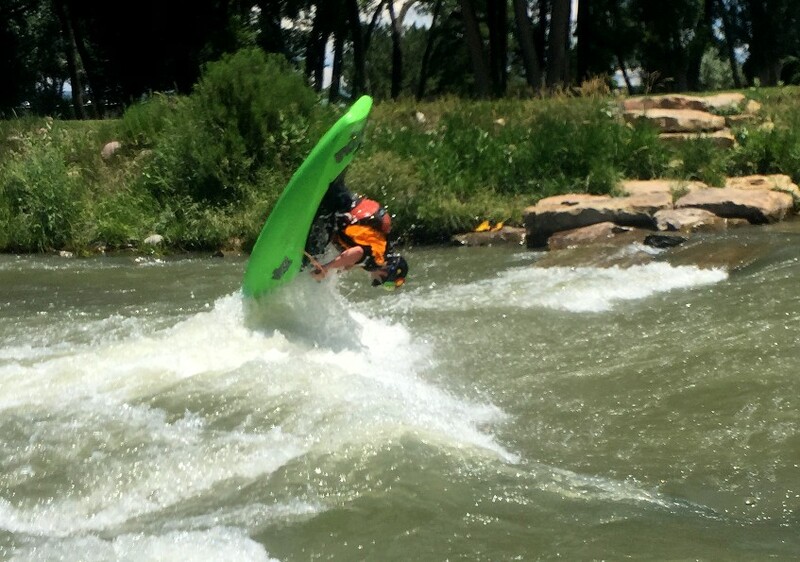 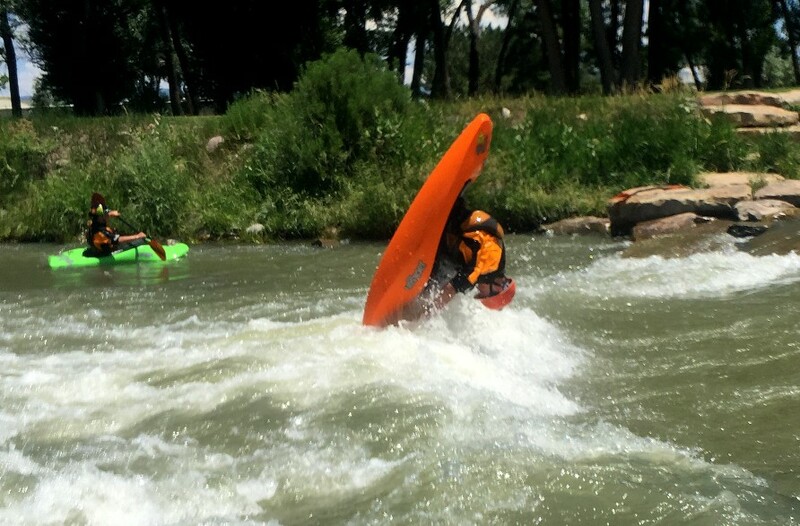 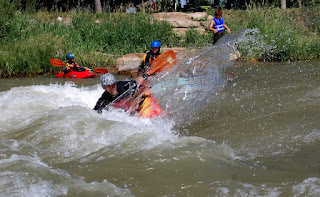 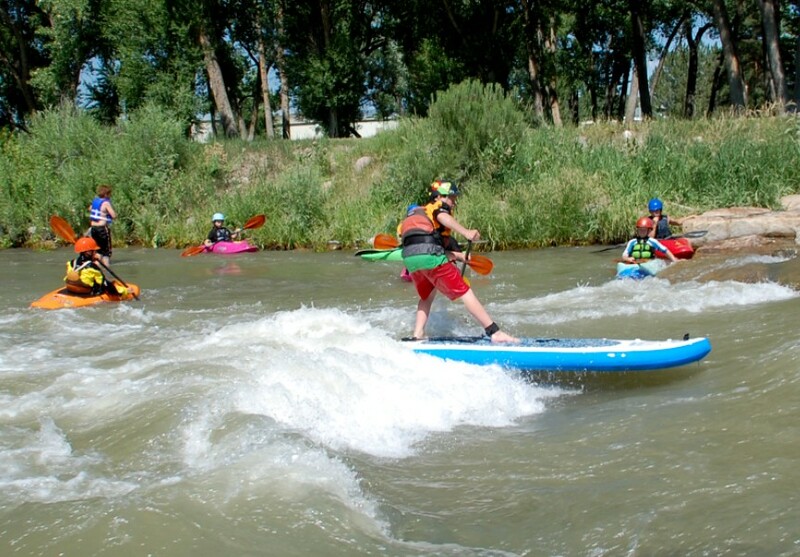 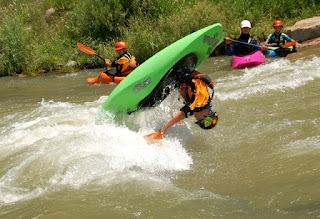 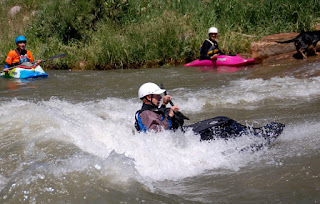 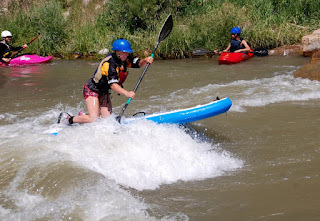 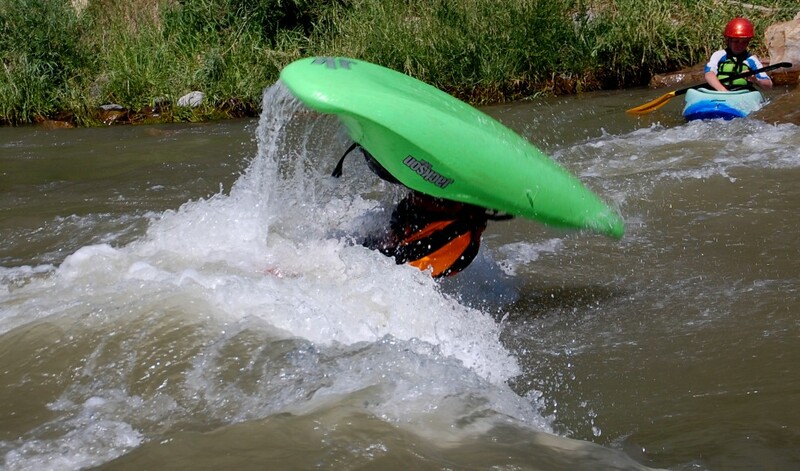 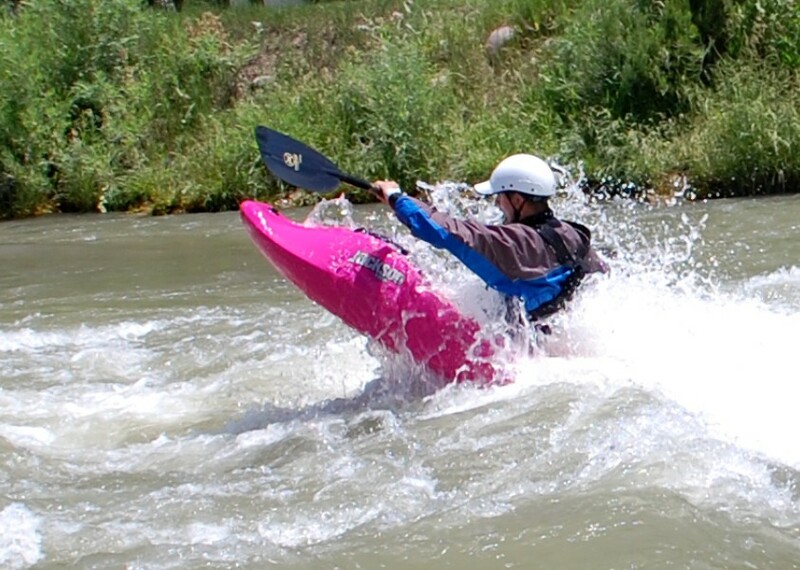 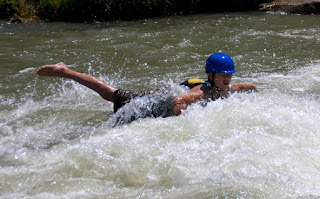 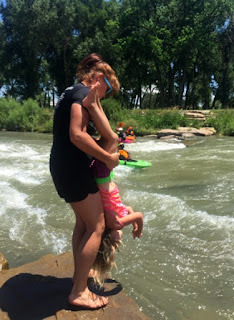 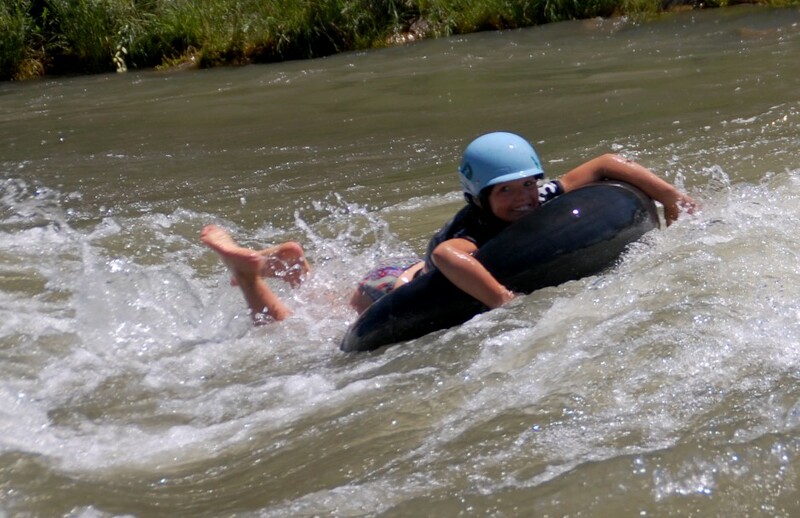 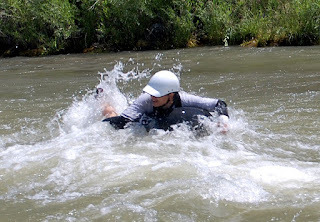 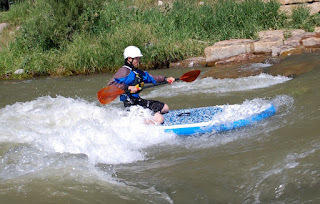 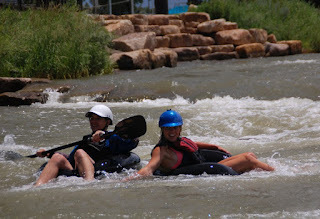 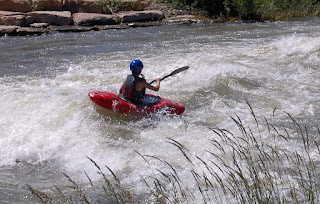 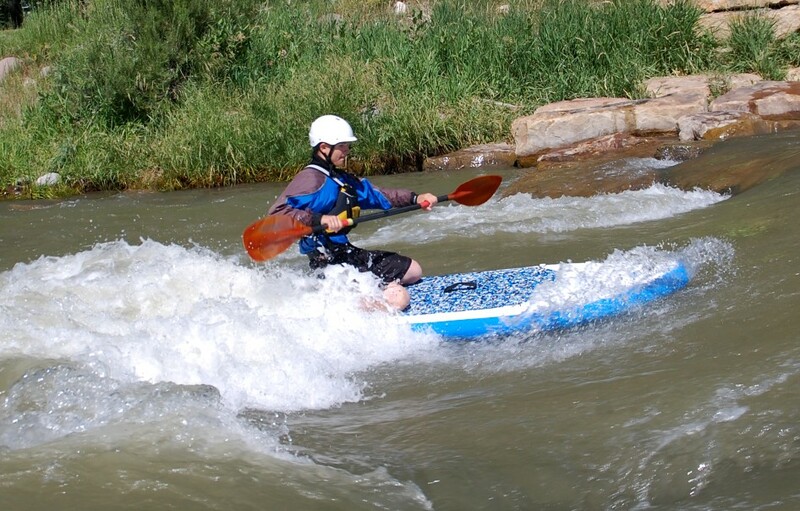 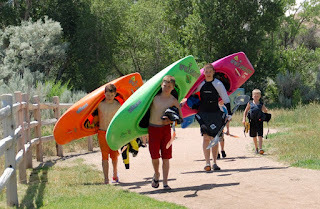 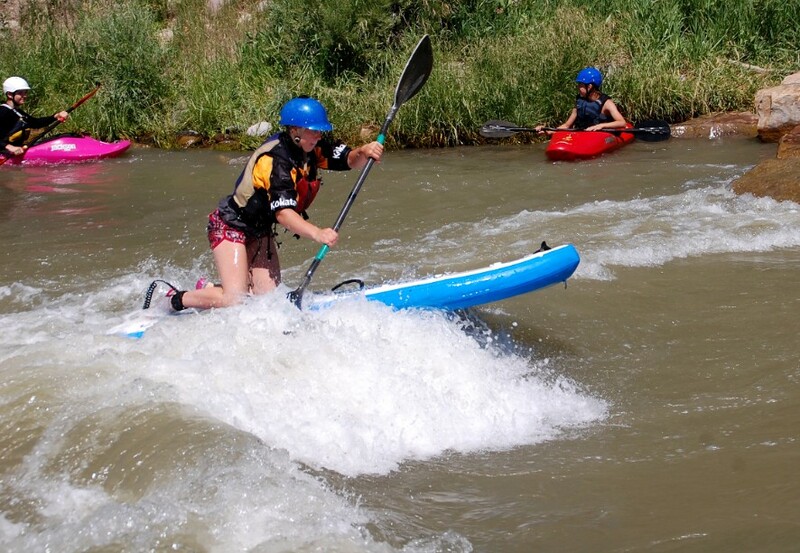 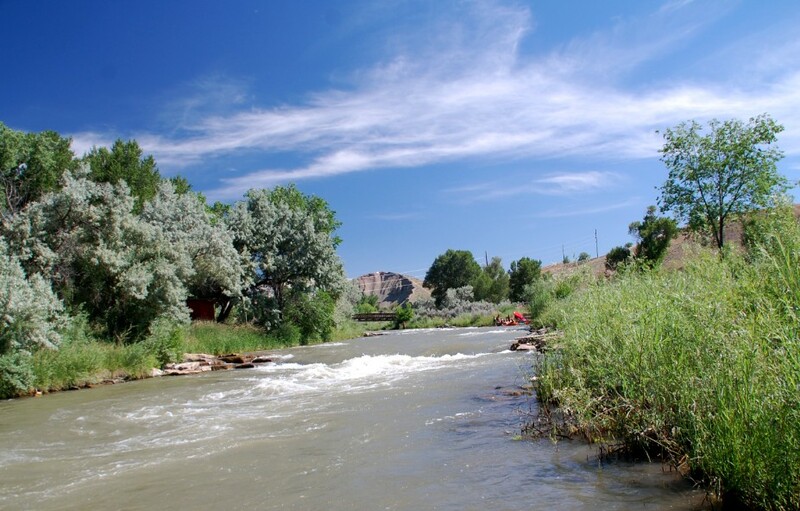 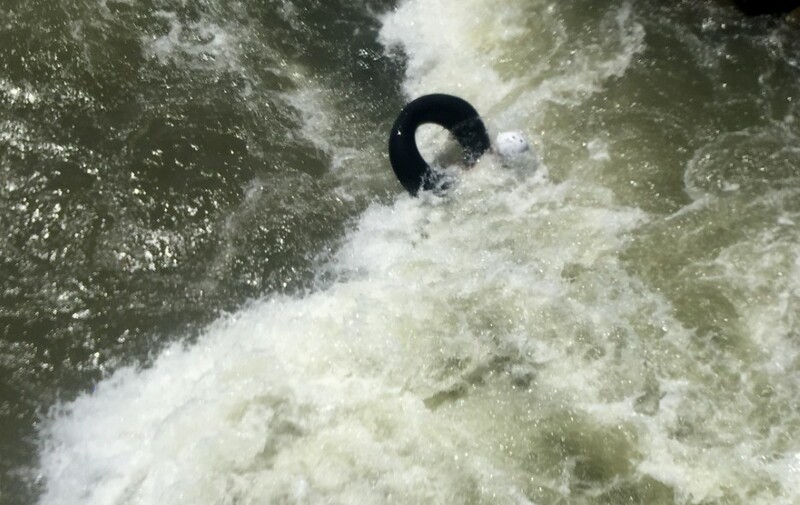 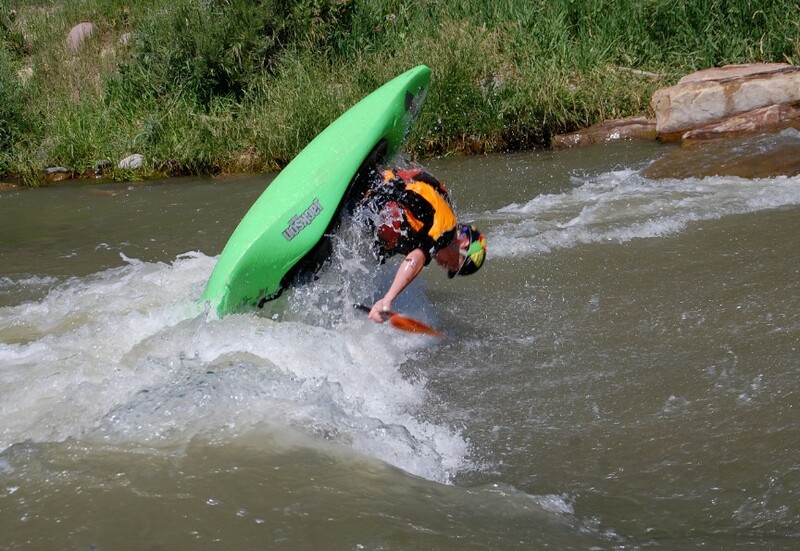 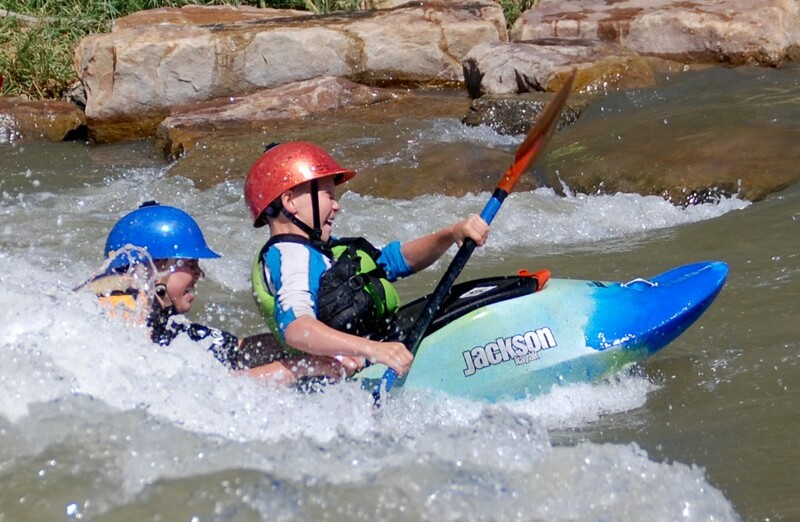 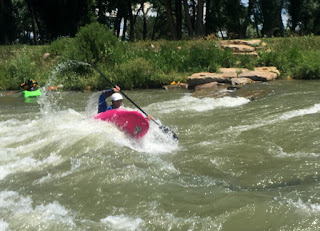 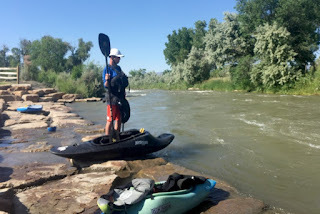 Many Colorado towns have great whitewater parks! 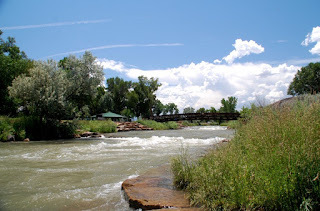 We found out that Montrose had one AND that the Kellogg family was nearby! 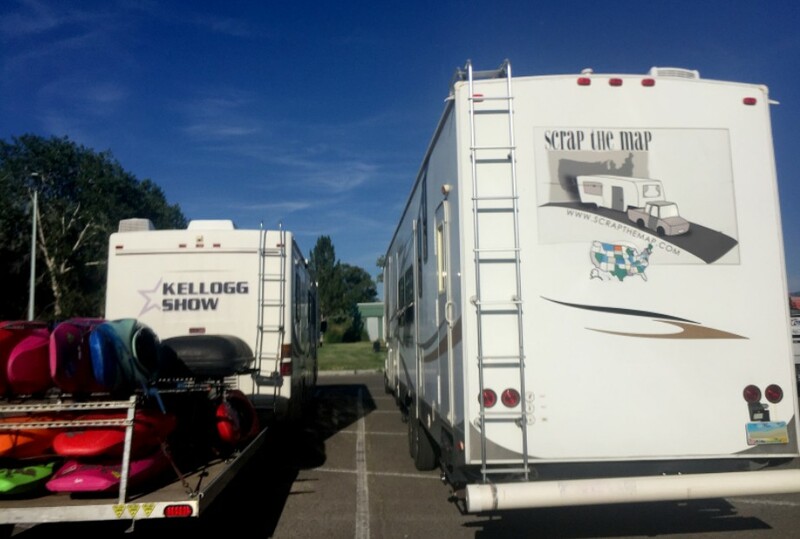 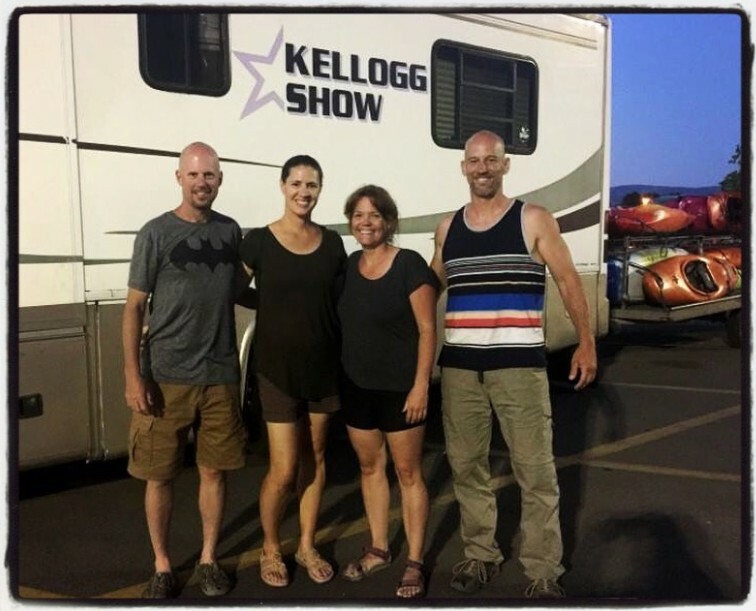 They're another RVing family (of kayakers!) 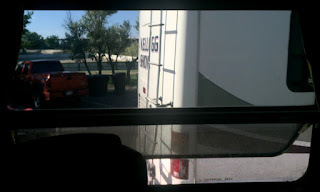 who we've followed online but hadn't crossed paths with yet. So we were excited to see them and get to do a little boating. They were as fun as we expected and we hope we run into them again! 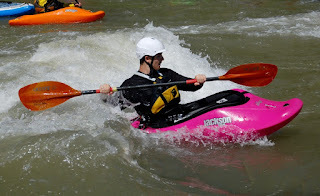 They also reignited especially Josh and Allen's kayak fever, so a lot more kayaking is in our future! 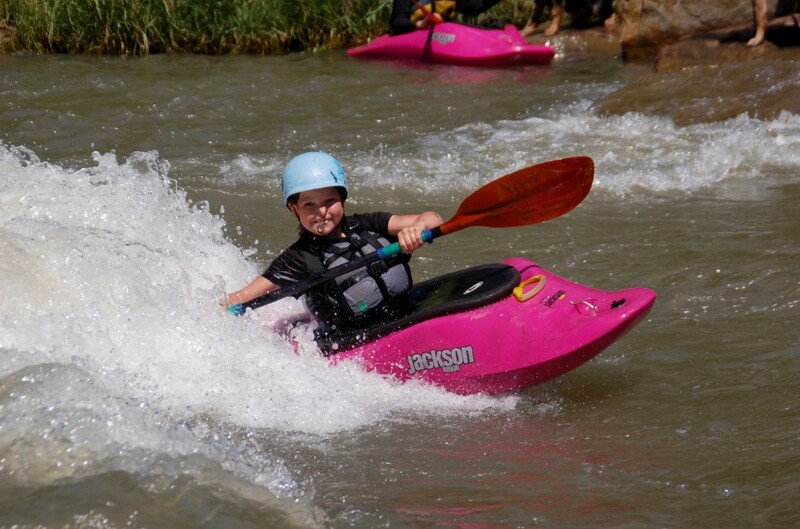 Josh was happy to borrow a boat and didn't even mind that it was pink! We went to Walmart for the night and came back for another day of fun! 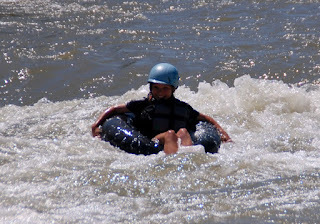 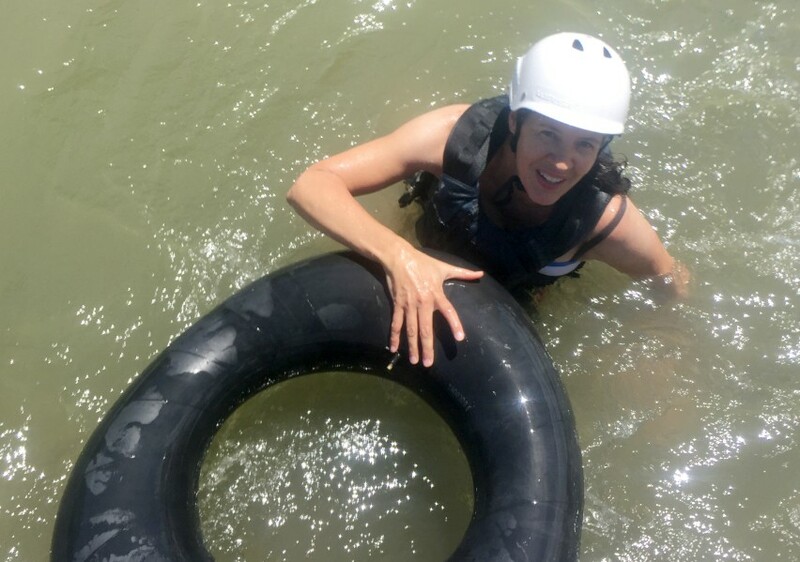 We did a little tubing too. 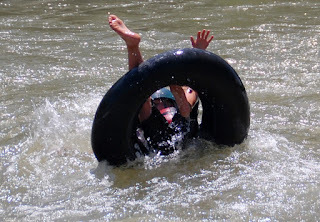 It didn't end well for me. It's a great park for watching too. Josh got into trying some tricks. 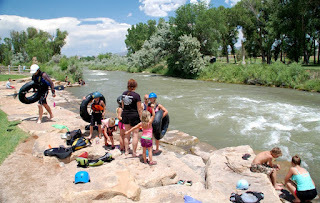 We had a great time, in the water and out!